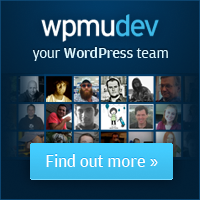 As you know I have my WPMU site for bloggers.. I have made a lot of changes in the admin area like logos colors,translations etc..do you believe that is necessary to update from 2.8.6 even if i loose this changes? While I am a firm believer of “If it isn’t broke, don’t fix it,” I also try to remain up to date on all our installs to avoid trouble when leaping version numbers during future upgrades. I have had major problems in the past when skipping versions. Yes, it is a pain when hard coded changes are involved, but to me it’s worth it. Thanks for the comment and good luck! Thanks for the comment! We’ve never tried embedding videos from sources other than YouTube. Dear admin, we should be concerned because this need exists. Who works with media and has to pass on information need to put videos from other sources. I was looking at the code to copy and paste the youtube and are very similar. It crashed with the upgrade from version 2.8.6 to version 2.9.1.1. You can not ignore the videos Globo (http://video.globo.com/), issuing of Brazil and perhaps the largest in Latin America. In version 2.8.6 the videos work perfectly. Thank you. Previous Previous post: Who needs domain mapping?